Los Xitomates is an upscale destination restaurant by famed Mexican Chef Luis Fitch, bringing his signature “Alta Cocina Mexicana” cuisine to Punta de Mita in the burgeoning Nayarit area. 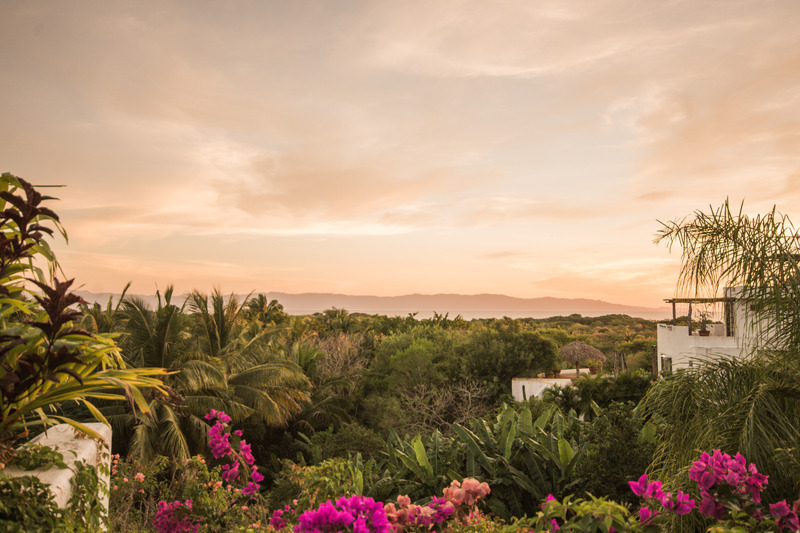 Nestled in the jungle landscape, this Mexican fine dining mecca has an expansive terrace and swimming pool offering stunning views over the jungle canopy down to the Pacific Ocean with vistas of Puerto Vallarta in the distance. Chef Fitch pays homage to the country’s pre-Colombian roots and combines “New World” Colonial elements, up to today’s influences of Mediterranean, Caribbean and Asian cuisine. Chef Fitch prides himself on using organic local produce (even from his home-grown garden) and from regional purveyors of meat and fish.